After a year-long investigation, Norwegian newspaper Dagens Næringsliv claims to have found evidence TIDAL deliberately falsified streaming numbers for albums by Beyoncé and Kanye West, leading to increased royalty payments for the artists. From the report, which was translated by Music Business Worldwide: "Beyoncé’s and Kanye West’s listener numbers on TIDAL have been manipulated to the tune of several hundred million false plays… which has generated massive royalty payouts at the expense of other artists." TIDAL is owned by Beyoncé's husband JAY-Z. 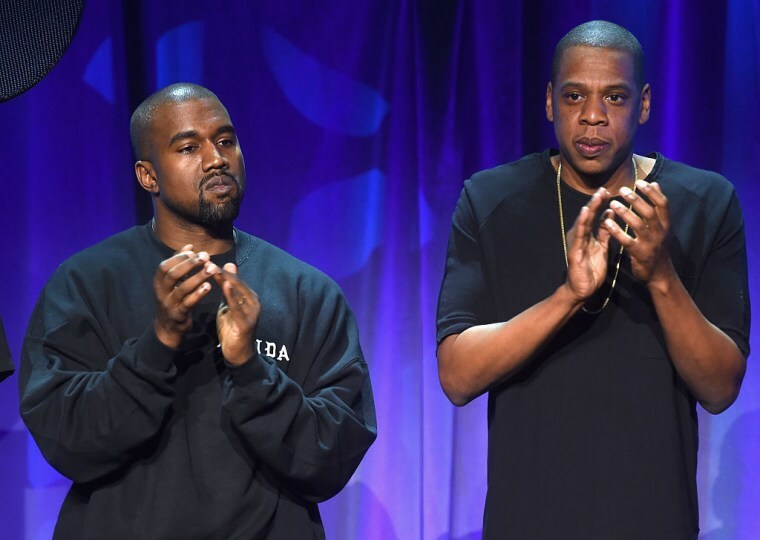 Kanye West was revealed as an artist co-owner when JAY-Z announced his acquisition of TIDAL in 2015. Dagens Næringsliv reportedly acquired a hard drive of TIDAL user information and statistics with “billions of rows of [internal TIDAL data]: times and song titles, user IDs and country codes.” The newspaper tracked down TIDAL users based on information in the hard drive, and found cases where the user's listening habits did not match what the TIDAL logs claimed – one subscriber was recorded as playing Pablo 96 times in a one day, which he called "physically impossible." A law student in Washington who TIDAL logged as listening to Beyoncé’s Lemonade 180 times in one day also refuted the count. The hard drive was the basis of a report by the Center for Cyber and Information Security (CCIS) at the Norwegian University of Science and Technology, led by Professor Katrin Franke. The report affirmed "a manipulation of the [TIDAL] data at particular times" that was "targeted towards a very specific set of track IDs, related to two distinct albums." CCIS did not find any evidence that the alleged alterations to Pablo and Lemonade's stats were the result of a hacking or outside attack. “[It] is highly likely that the manipulation happened from within the streaming service itself,” the report says. It accuses TIDAL of accessing over 1.3 million user accounts to play "duplicate" tracks from The Life Of Pablo, and copying user's streaming habits to increase Lemonade's stats. CCIS claims to have found over 170 million streams of Lemonade's album and short film with suspicious, repetitive streams. Both Beyoncé and Kanye had big windfalls from their TIDAL exclusive projects. Dagens Næringsliv reports that TIDAL paid Universal €2 million in royalties from The Life Of Pablo between February and March 2016, while Sony received $2.5 million for Lemonade from April to May 2016. TIDAL denied ‘manipulating streaming figures or tampering with royalty payments’ in a statement to Dagens Næringsliv. "TIDAL believes that the data the report is based on is stolen, incomplete for the relevant periods, that DN has changed the data and has lied to NTNU about the origin and content of the data," the statement reads. Dagens Næringsliv claims that the information on the hard drive matches records received by labels. Alleged discrepancies between TIDAL's declared subscriber base and its claims of high streaming numbers for its exclusive albums have come under scrutiny. After Kanye West released The Life Of Pablo in February 2016, TIDAL claimed the album had been streamed 250 million times in 10 days. The company also posted impressive numbers for Beyoncé's Lemonade, released in April 2016: 306 million stream of the album in 15 days. TIDAL claims to have over 3 million subscribers – Music Business Worldwide estimates that for TIDAL's Pablo numbers to be accurate, each user would have had to have streamed Pablo over eight times every day for the record's first ten days of release. Both Dagens Næringsliv and British media company Midia have accused TIDAL of inflating its subscriber base, which may be closer to one million users globally. As Variety notes, TIDAL is referring to descriptions of JAY-Z and Tidal COO/Roc Nation executive Lior Tibon from a previous Dagens Næringsliv article.